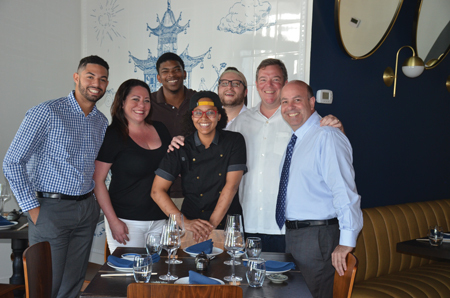 Pictured are: Nicholas Ducos, Sommelier; bartender Sarina Kiernan, Front House Manager Ray Sholes, Sous Chef Lasley Adrian, Chef Pablo Zitzmann, Heath Porter and Craig DeWald. We’re thrilled to be serving you at our new No Name Chinese restaurant! Located on the corner of 57TH Court and 74th Street (where Tutti Bambini was located) the restaurant is a departure from their original Coral Gables spot. The menu will focus on Chinese dim sum cuisine using traditional techniques and flavors but adding a new world, new age spin, with flavors also from Vietnam and Cambodia. Heading the kitchen is chef Pablo Zitzmann, who recently visited Asia learning how to create dumplings from master dumpling makers in order to create the menu. And in keeping with the traditions of Uvaggio, the sommelier will serve up “crazy juice” and craft beers, that will complement the elegant, amazing food. Teas from China and Thailand will also be served. Heath wants to keep the culinary experience “tight and clean.” Local fresh produce and herbs are sourced including from the gardens at Pinecrest Elementary School. The restaurant will start with a dinner menu and plans to have a weekend dim sum brunch, with lunch service opening later. “We’re planning to be your neighborhood restaurant and look forward to having you join us every week,” says Porter. 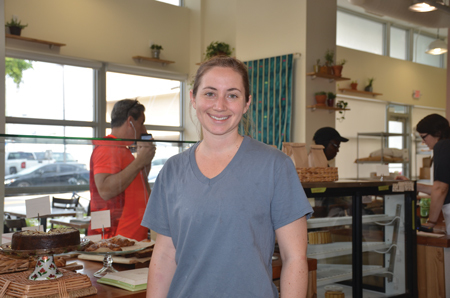 In January, and after eight months of permitting and four months of build-out, the Madruga Bakery welcomed guests to their spacious bakery. This is where owner Naomi Harris watches and cares for her bread – one loaf at a time. Raised here in Miami, her family has a long history in the food business. Her great grandfather started the Red Road Food Market in South Miami near Allen’s Drugs. Her dad, Larry, and uncle Stuart started Pollo Tropical, which they later sold in the late 90s. Naomi went to Northwestern University to study political science with a minor in environmental policy, however, after college she wanted to keep baking. She joined World Wide Opportunities on Organic Farms and worked at small farms. She moved to Anchorage, Alaska, to work at Fire Island Rustic Bakeshop and studied at the San Francisco Baking Institute. And now, she’s back home and doing what she loves to do. What distinguishes Madruga Bakery is the strong commitment to quality ingredients and techniques. Organic flour, eggs and meats are sourced, as well as organic produce whenever possible. “The foundation of Madruga is our love for artisanal bread. We fresh mill our whole grain flour, and we use natural fermentation,” as Naomi notes on her printed menu. Two pieces of equipment that stand out are the Italian made shelved Bassanina bread oven and a mill fabricated by Fulton Forde of Boulted Bread in Raleigh, North Carolina. The open kitchen, while more industrial, blends in wonderfully well with the textures, openness and high ceilings in the patron area. Madruga Bakery is not just about breads. There are breakfast parfaits, egg sandwich and toast, thick slices of the Sonora Loaf. Lunch sandwiches, salads and soups are all on the menu. And don’t forget the pastries and sweet treats. Located off U.S. 1 on Madruga Avenue, next to Green Monkey Yoga, it’s a place Naomi wants to call home for the next twenty years. 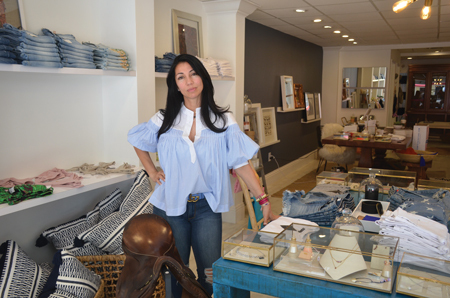 With over twenty years in the retail business, Ingrid Gallego opened her “general store” in South Miami in March of this year. At The Stable, named for her love of horses, is called a “general store” where Ingrid carries a little bit of everything – things for the home, women’s clothing and basics for women, art, an apothecary, jewelry and fashion. The setting is cozy where shoppers can spend time and relax while looking at all the store has to offer. “I love all things horses.” One of Ingrid’s saddles sits in the front window. She owns her own horse, named “Yellow Brick Road” which she adopted 3 years ago from Gulfstream Race Track; the horse is now 9 1/2 years now. BASE Hair | Skin is a full service hair & skin studio tucked away in the historic Shelley building located on SW 58th Ct. and Sunset Drive. 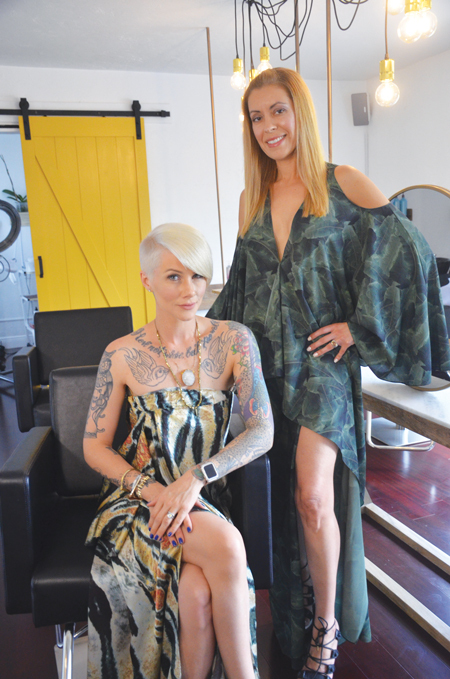 South Miami natives, Ashley Keenan and Julie Terrero are the creative forces behind BASE Hair & Skin, Sunset Drive’s new loft-concept salon. Having worked in large, high-volume salons in Los Angeles and Miami, Keenan and Terrero decided they wanted to return to SoMi and offer a more intimate and inviting experience for locals. Just one look at their 5-Star Yelp reviews and it’s no wonder why this boutique salon has gained such popularity. BASE has built a well-deserved reputation for their consultative approach and customized long-term beauty regimens for each client’s unique hair and skin goals. Directly overlooking Sunset Drive, their New York loft aesthetic boasts floor to ceiling windows, marble topped hair stations and eye-catching light fixtures. One step inside and it’s clearly evident that no detail was overlooked in their modern bohemian design. This relaxing setting offers the perfect atmosphere to enjoy an express medical grade facial peel while your botox hair smoothing treatment is processing. While BASE offers a wide range of beauty services, they pride themselves on being the only salon in the area that offers Sugaring Hair Removal- the world’s oldest and most natural hair removal process. Even more impressive, they offer beauty services seven days a week and hours to suit everyone from business professionals to college students. Simply text, call or visit them online at basehairandskin.com to reserve your appointment today! By now you/ve probably read of Dee Dee in the Miami Herald, New Times, Miami Times or Community Newspapers or heard by word-of-mouth (literally) from someone who has tasted one of her “delightfully delicious” morsels. Deborah Frazier started baking cookies in 1985 for her nieces and nephews. She found a passion “and love” in baking and dreamed of having a small store in the future. Along the way she would sell her cookies in Coconut Grove going door-to-door, selling her treats to neighbors and members of her church. Soon she asked local restaurants to purchase her cookies. “I was very well known in Coconut Grove,” she says. Frazer’s clients included the Last Carrot and GreenStreet Café. 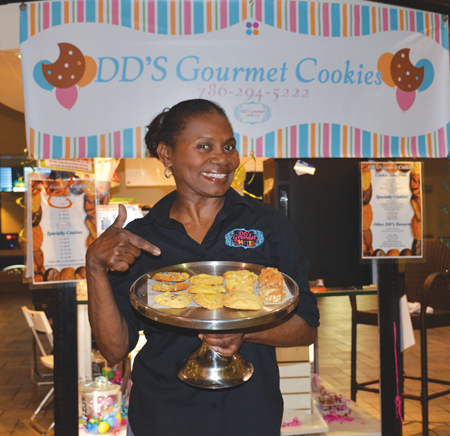 Fast forward to February, 2017, when she opened DD’s Gourmet Cookies at The Shops at Sunset Place. Her attractive and attention-grabbing kiosk is located next to the AMC ticket window on the second floor. It’s here she bakes and sells her hand made cookies in several varieties, including peanut butter, oatmeal raisin, and a lemon drop sugar cookie inspired by the lemon drop martini. However, the pièce de résistance is her “Backyard All the Way,” a peanut butter cookie lavished with white and dark chocolate chips, Reese’s Pieces, maple bacon, caramel, and a dash of sea salt. Dee Dee calls it her “personality cookie” ‘cause it puts you in a good mood. and $17 for a dozen. Frazier’s journey to opening her business was nearly three decades in the making. Come by and share a piece of her dream. Open daily from 11 a.m. to 8 p.m. in front of AMC Sunset Place 24 inside The Shops at Sunset Place, second level. Fittingly the British Swim School opened at LA Fitness at The Shops at Sunset Place in time for National Water Safety Month. Drowning is the number one cause of accidental death for children ages one through four. Often silent and occurring in less than 20 seconds, it’s no wonder the USA has deemed May as National Water Safety Month, a time to educate and raise awareness of a silent, but deadly killer. Rita Goldberg, former professional swimmer and CEO and founder of British Swim School, is the pioneer of gentle, non-traditional infant water safety programs. 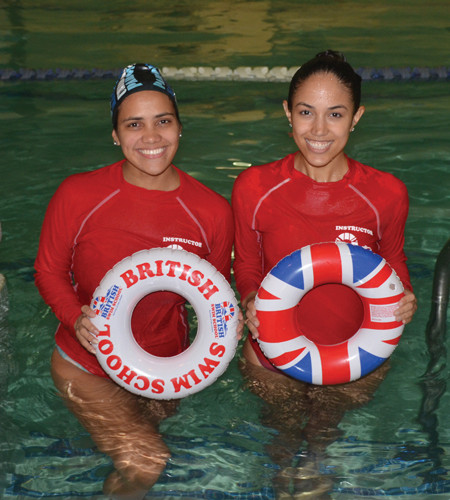 With more than 130 pools operating throughout the United States, Canada and Turkey, British Swim School offers the industry’s most innovative water safety program teaching safety and survival first, and swimming skill development second. Darneyis Orozco, 26. A professional swimmer, with 3 years teaching experience. Maricelys Villezas, 27. 2 years teaching experience. 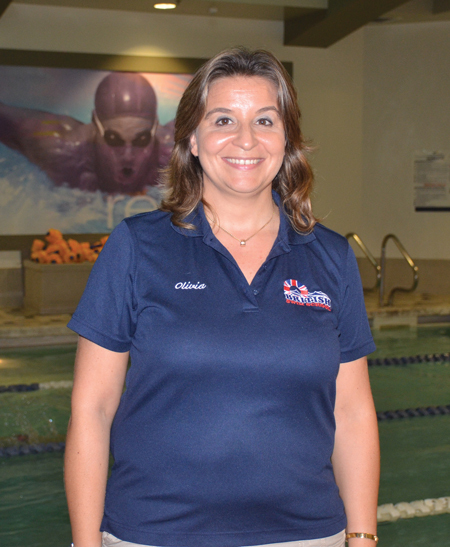 Running the Coral Gables / South Miami area franchise is French native Olivia Hirtzman. She noted that the school is “dedicated to providing an opportunity for children to learn how to swim, no matter what age.” British Swim School classes have been proven to prevent child drownings by utilizing one-of-a-kind techniques taught by experienced instructors. To learn more, log onto BritishSwimSchool.com. 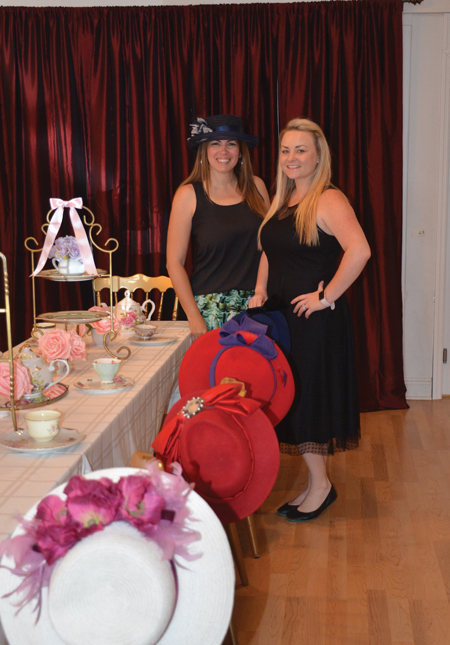 The Enchanted Dollhouse is known for fabulous tea parties with a themed decor for both children and adults. Located at 7212 Red Road, the venue is perfect for clients seeking a girly, vintage, romantic intimate setting for up to 60 guests. First opened as Veronica’s Dollhouse some years ago, Michelle Morgan acquired the business in October, 2015. In January of this year there was a name change and a new partner brought into the business, Ilenia Barasoain. Both ladies were intrigued with the concept and the possibilities to do even more. Michelle has been the owner since 2015. She lives in Miami with her husband Luis and one year-old daughter Olivia Jolie. For décor, her favorite theme is floral garden. Ilenia fell in love with the dollhouse after planning a party for her five year-old daughter Nna. She and her husband, Rene, spoke with Michelle about a partnership and sealed the deal. A new name followed, The Enchanted Dollhouse, and plans for a café were developed. The café is now open for business and both ladies are thrilled to give customers a chance to enjoy their beautiful atmosphere by simply popping in! They proudly serve Panther coffee along with Harney & Sons teas, delicious macarons, decadent pastries and amazing sandwiches. Stop on by for an afternoon tea and treats. The office hours: Tuesday–Friday, 11am – 5pm; Party hours: Monday–Sunday, 11am – 7pm, and Café hours: Monday-Friday 11am – 5pm.